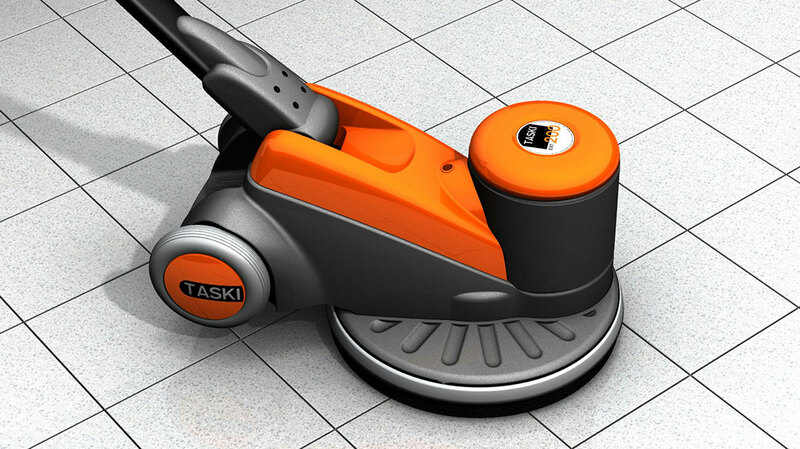 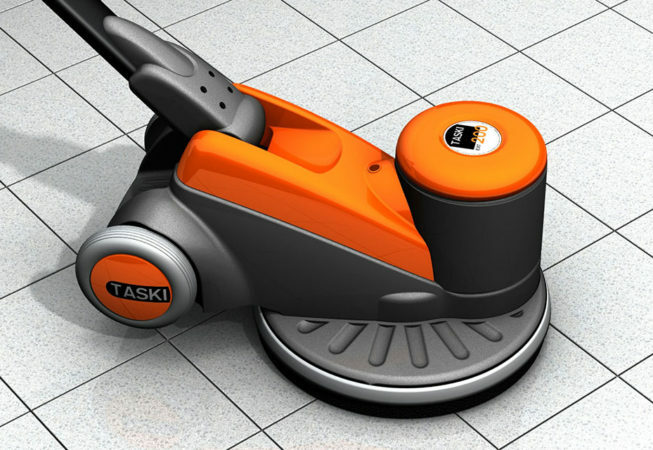 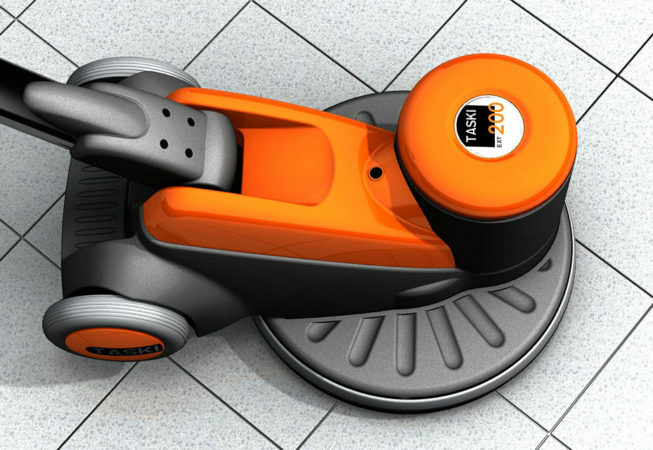 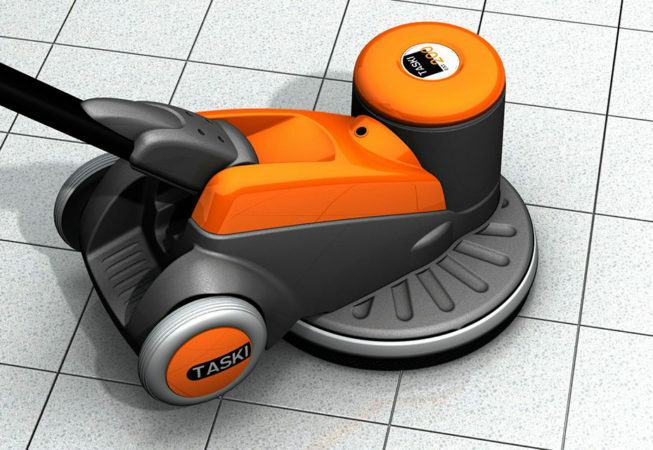 The Taski Ergodisc is a low speed single disc cleaner with high versatility through a wide range of cleaning tasks. 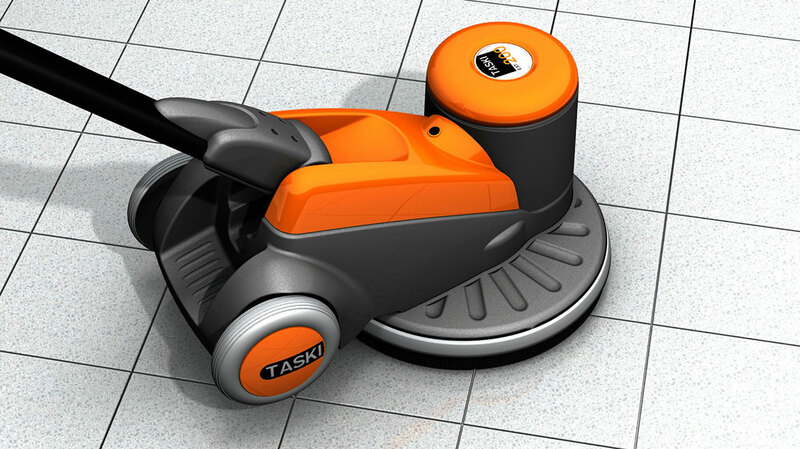 Renfrew Group designed this completely new product for Taski with its many new and unique features inluding the anatomically formed grip and handle for better working conditions and improved productivity, the hand protection and double lock for increased safety, the foldable handle for easy storage and transport and its easy coupling of accessories for increased efficiency. 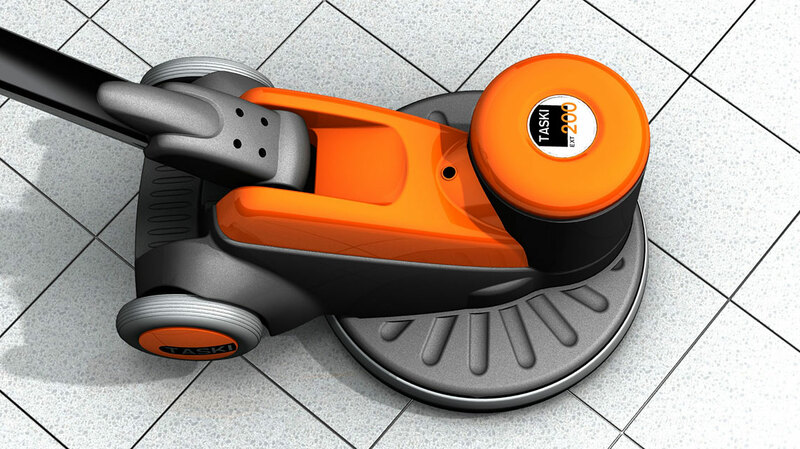 The concepts were first realised as marker visuals before being ‘fleshed out’ in Alias Studio to determine feasiblity and practicality.